The Académie des Sciences of the Institut de France and the Royal Society of London each has elected Max Cooper, PhD, as a Foreign Member. Cooper, who is considered one of the world's most influential immunologists, is a professor of pathology and laboratory medicine at Emory University School of Medicine and a Georgia Research Alliance Eminent Scholar. He also is a member of the Emory Vaccine Center, the Center for AIDS Research and the Winship Cancer Institute. The Académie des Sciences has been committed to the advancement of science since its creation in 1666. The Royal Society is a fellowship of many of the world's most eminent scientists and is the oldest scientific academy in continuous existence. Cooper focuses on the antibody-producing cells of the immune system and is currently applying his research on lamprey (jawless fish) immune proteins to studies of HIV. His landmark discoveries over nearly 50 years have provided a framework for understanding how white blood cells normally combat infection – and how they can undergo abnormal development to cause immune deficiencies, leukemia, lymphomas and autoimmune diseases. One of his earliest discoveries — that two distinct types of white blood cells, now known as T and B lymphocytes, play separate but complementary roles in defending against infections — established one of the most important organizing principles of the immune system. Cooper's work also contributed to the medical knowledge that enabled transplants of bone marrow stem cells to treat blood cell cancers. 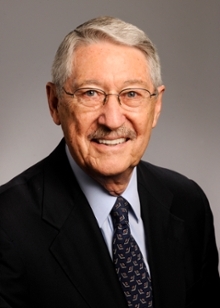 "Emory and the Woodruff Health Sciences Center have been extremely fortunate to benefit from the scientific expertise and leadership of Max Cooper over the last decade. I congratulate him on this well-deserved international recognition of his groundbreaking accomplishments," says Jonathan S. Lewin, MD, executive vice president for health affairs, Emory University, executive director of the Woodruff Health Sciences Center, and president, CEO and chairman of the board, Emory Healthcare. Cooper is a former president of the American Association of Immunologists (AAI) and a member of the U.S. National Academy of Sciences, the Academy of Medicine and American Academy of Arts and Sciences. His honors include the Founder's Award of the Society for Experimental Biology and Medicine (1966), Sandoz Prize in Immunology (1990), American College of Physicians Science Award (1994), AAI Lifetime Achievement Award (2000), AAI-Dana Foundation Award in Human Immunology Research (2006), Avery-Landsteiner Prize (2008) and the Robert Koch Prize (2010). Press release from the Royal Society.